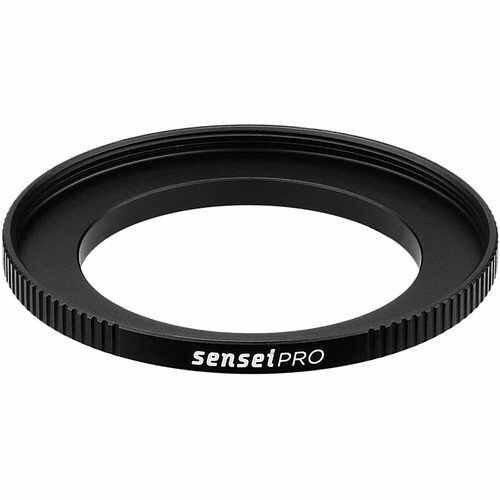 The Sensei PRO 40.5-52mm Aluminum Step-Up Ring permits the use of 52mm threaded filters on lenses with 40.5mm filter threads. It has large side knurls to provide a more textured grip when mounting or removing it from a lens. This step-up ring features a lightweight, aluminum-alloy construction that has a corrosion-resistant, matte black, hard anodized finish for durability and to minimize reflections.